Tesla Model S Running Costs, MPG, Economy, Reliability, Safety | What Car? 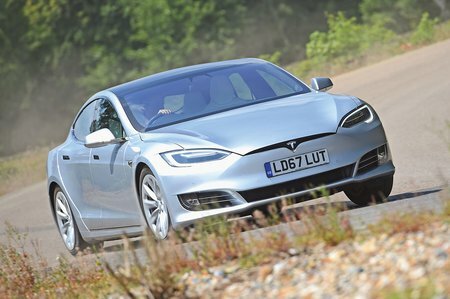 The Model S is far from cheap, with prices for the 75D starting in excess of £60,000. But while it's slightly more expensive to buy outright than the I-Pace, it's cheaper on a PCP finance deal. It's also competitively priced next to petrol, diesel and hybrid versions of premium luxury cars, including the Panamera. And you will save loads on fuel (a full charge costs £6-£10 on an Economy 7 night tariff), although you will have to pay to use Tesla’s Superchargers regularly. The first 1000 miles of charging are free annually, but from then on you’ll have to pay a small fee. There aren’t as many tax incentives for private buyers that there once were, so although the Model S is exempt from road tax and the London Congestion Charge, you will have to pay a £310 annual luxury car tax. The Model S still makes a great deal of sense for company car drivers, though. A low benefit-in-kind (BIK) tax rate means you’ll save a lot of money compared with the Panamera 4S Diesel or 630d GT. The I-Pace is expected to depreciate slower, though. Standard equipment includes power-folding door mirrors, electrically operated front seats, dual-zone climate control, leather upholstery, a rear-view camera and keyless entry. Plus, there’s internet connectivity with access to Google Maps and internet radio. Worthwhile options include the two rear-facing kids’ seats in the boot and the Enhanced Autopilot functionality. 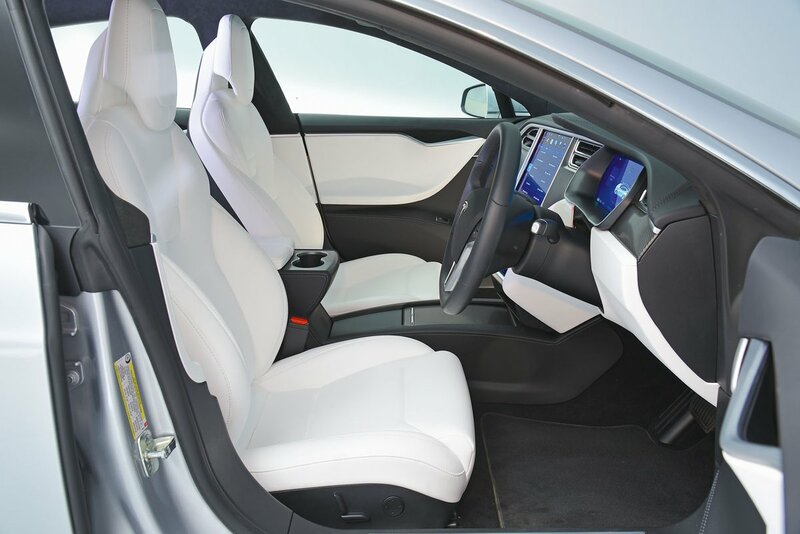 Meanwhile, the impressive list of safety kit includes six airbags, automatic emergency braking and blindspot and lane departure warnings – all of which helped the Model S achieve the maximum five-star rating from Euro NCAP. A four-year/50,000-mile warranty is standard, while the battery is covered for eight years, no matter how many miles you do. 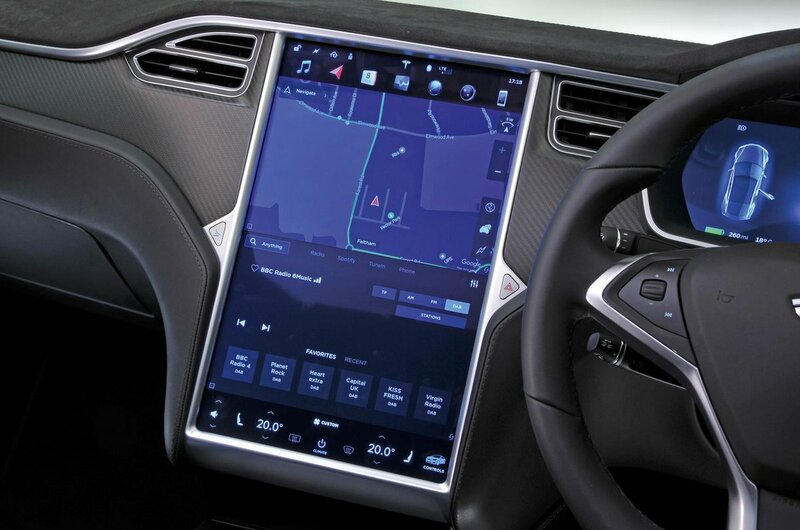 Plus, Tesla’s wireless software updates fix glitches and add features while you're asleep, rather than requiring you to book your car into a dealer. It's good that the warranty is so impressive, because our latest reliability survey makes pretty grim reading for Tesla. The American manufacturer finished third from bottom in our list of 32 manufacturers, while the Model S was the least reliable electric car. The Tesla Model S is a groundbreaking electric car that's both desirable and capable. If it fits into your lifestyle, it’s a superb choice.